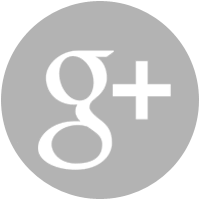 Frances is a Canadian event photographer who works in Ravello on the Amalfi coast and worldwide. She studied photography in Canada, and later traveled through Canada, Europe and the Indian Ocean. She currently lives in Amalfi with her husband. 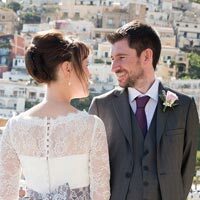 Frances is a skilled professional photographer with an extensive knowledge of the Amalfi coast and Ravello, and with specific experience in the field of event photography, art photography and reportage. 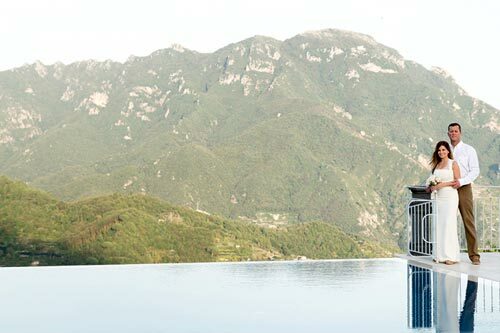 Frances speaks both English and Italian fluently and she has been working at top class venues in Ravello, Positano and Sorrento, such as Villa Cimbrone, the Belmond Caruso, Villa Eva and many others. A wedding celebration involves many different kinds of photography. 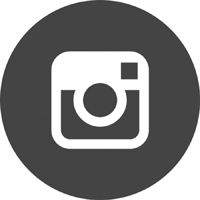 This makes it especially fun for the versatile photographer who has the opportunity to go from portraiture, to candid shots, to reportage, and more. Frances Heath Photography provides professional customer-tailored services for your event to make your wedding shoot a personal and fun experience. Frances is available in Amalfi, Ravello, Sorrento, Capri, in Italy and abroad. You are the absolute BEST photographer we’ve ever had. 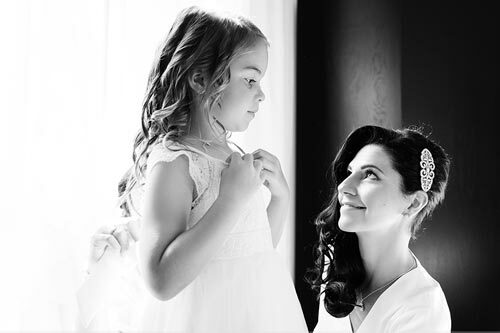 Our images are incredible and natural and amazing and they truly capture the essence of the moments we had together. The albums arrived today. We are absolutely delighted with them. Thank you so much for all of your work in capturing our wedding day and creating our album. Thank you for creating a most stunning set of photographs. Everyone keep saying they are like images from a fairytale. The experience itself was such fun and so relaxed. A HUGE THANK YOU for our wedding photos! We received your package in the mail and we are having so much fun going back through the pictures and re-living the moments. 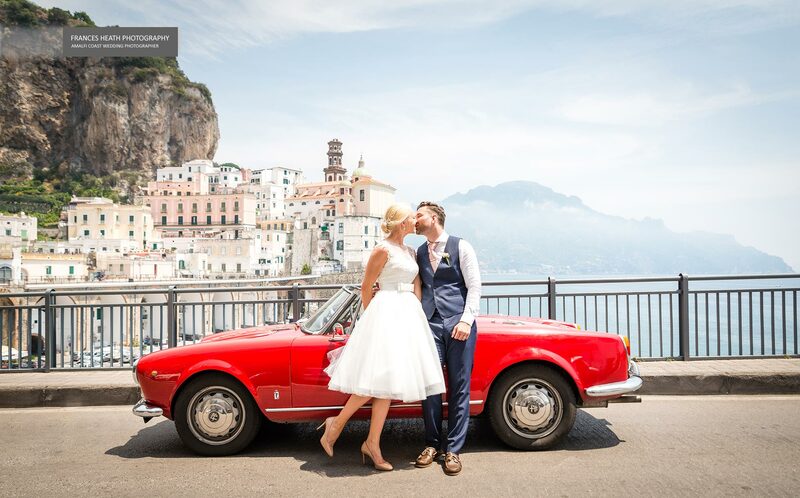 A fun and romantic birthday-wedding at Villa Cimbrone in Ravello featuring a funfetti cake, a Fiat 500 car and more. An intimate wedding at Villa San Giacomo, an ancient luxury villa with stunning views on the town of Positano. 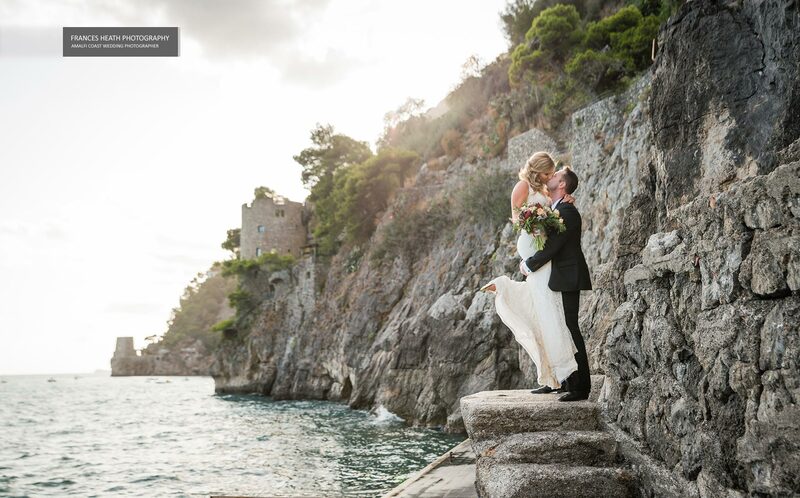 A super romantic elopement at the hotel Belmond Caruso in Ravello that features amazing views of the Amalfi coast. A dreamy and fun wedding based on live music and prosecco at a private villa in Positano. An informal and elegant reportage style wedding at Villa Oliviero, an amazing luxury villa in Positano. 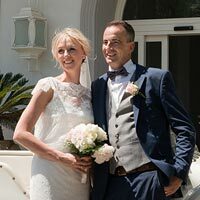 A seaside wedding ceremony and a fun reception in sunny Sorrento for Lisa & Russell. 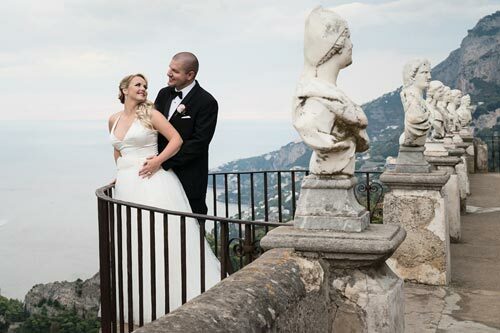 Photographer for weddings in Ravello, Amalfi coast.